The wine country just north of Santa Barbara is hands down one of my favorite destinations for a weekend trip. Considering how often I visit the area, I’ve made it a point to find out which wineries are dog friendly. Notes: Foxen is an extremely dog-friendly winery where leashed dogs can be brought into the tasting room at both locations (the main winery at 7600 Foxen Canyon Road & “The Shack” at 7200 Foxen Canyon Road). At the main winery, Booker was allowed inside with us on a leash or in one of the several outdoor seating areas where he was able to relax while we sipped wine. At foxen 7200 (“The Shack), Booker was allowed to come inside the small tasting room with us or sit outside with us on the deck and bask in the sun. At both locations, the tasting room staff brought him water and showered him with loads of attention. He absolutely loved it. Notes: Fess Parker Winery & Vineyard is a dog’s dream. The winery is situated on a beautiful piece of land with a huge, perfectly manicured lawn where dogs are able to run around until their hearts are content. I actually didn’t inquire if they were allowed inside the tasting room because the outside area was just too perfect. We did a tasting, bought a bottle and sat outside with wine and snacks while Booker and his cousin Bodo played. Just remember to be courteous… even though dogs are allowed to be off leash, the lawn is also a picnic area so don’t forget to bring a leash with, as well as some potty bags and water. Notes: I was very pleasantly surprised to find out Booker was allowed in the Alta Maria Vineyards tasting room. This gorgeous new tasting room is located in downtown Los Olivos and when I inquired about bringing our dog inside, I expected to have to sit outside with him. Instead, we were told he was more than welcome to come in as long as he remained on a leash and we kept an eye on him. The tasting room is beautifully decorated and somewhat small, so this was definitely not a place for an excessively large or high energy dog. They apologized for not having a water bowl for him, which was totally fine. We were just happy he could be inside with us. He got to take a nap on the cool stone floor while we enjoyed some amazing wines. Notes: Alma Rosa Winery & Vineyards is a rustic, off the beaten path winery that some may remember from the movie Sideways. Booker was welcome to relax inside the tasting room on a leash, as well as roam around outside on Alma Rosa’s beautiful property. The tasting room staff happily gave him some water and a local dog who helps herd livestock in the area came down from the hills to say hello. 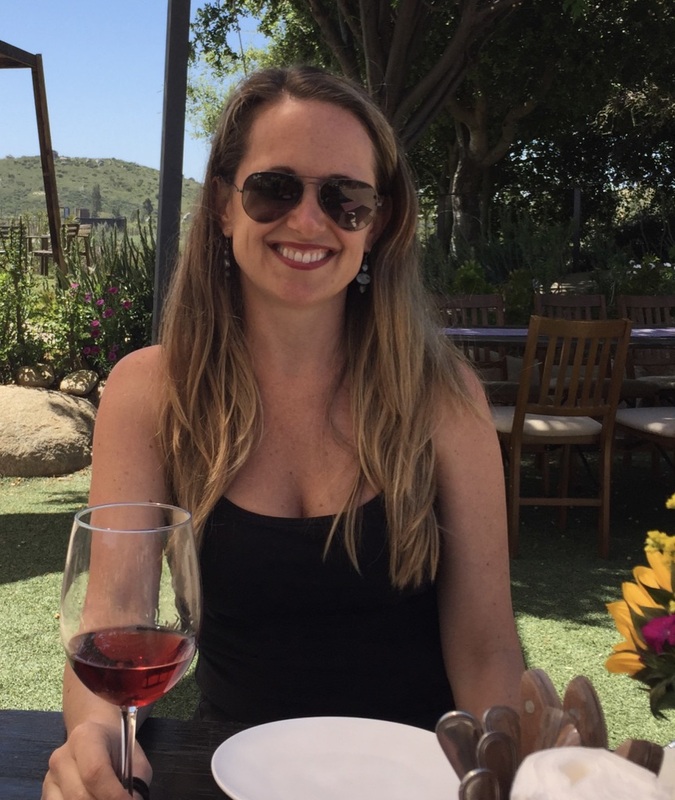 Hello, I stumbled onto your blog when I googled dog-friendly wineries in Santa Barbara! I am so excited to go visit these great spots AND be able to bring along the pups! I was wondering if you had any suggestions regarding hotels, inns, b&bs etc that allow pets in this area? THANKS! Hi! I’m glad you found this helpful! It’s so nice to be able to bring pups along for wine tasting trips. There are 2 hotels in the area that I recommend. The Hadsten House in Solvang is really nice. It was recently remodeled, is an easy walk to town, and has 2 dog friendly rooms (http://www.hadstenhouse.com/). They charge a small $25 fee for pets and suggest you call ahead to make sure the rooms are available. The other hotel I recommend is the Santa Ynez Valley Marriott in Buellton (http://www.marriott.com/hotels/travel/sbasy-santa-ynez-valley-marriott/). They charge a slightly higher pet cleaning fee of $80, but it’s a decent hotel and they usually have availability. For a bite to eat, I recommend Los Olivos Cafe & Wine Merchant (http://www.losolivoscafe.com/). They have great food and dogs are allowed to join you on their outdoor patio. If you end up discovering any other pet friendly spots in the area, let me know! Thanks! Thank you so much! We are about to take our Standard Poodle camping with us up the coast and so thrilled for your recent list of pet-friendly wineries. Glad I found this! My parents, hubby and I are heading up that way in the Fall with our pups. Thanks for the recommendations. I would also suggest to anyone bringing their pets to check out VRBO and apply “pet friendly” to their search. You can find some nice deals there as well. This is great, thank you so much for the information and great pictures. I travel alone with my dog a lot and this information (or lack of) can truly make or break a trip!!! thanks for sharing. Thanks so much for the kind words! I’m so glad you found it helpful. Enjoy your travels with your dog! santa barbara wine tours leads locals and visitors alike on innovative sightseeing walks through the city’s historical districts and beautiful storied neighborhoods. When looking for special things to do, step beyond the beaches, restaurants and shops for an intimate look at the history, art, and culture that invigorates Santa Barbara with its vibrant and singular personality. Great post! Reall helpful. Thank you! Great blog, thanks so much for the posting! We took our 2 pooch this last week to SB and I researched dog friendly wineries before we went. To add to your list, Rideau Vineyards in Santa Ynez welcomed our pooches on their wine tour, as long as the dogs were leased. We bought some wine and sat out on picnic with them after. Beckman Vineyard allowed our dogs inside the tasting room as well, and Kalyra winery outside on the patio. Hope this helps anyone else planning their trip. Thanks so much for the additions to the list! Hope you had a great time in SB!